I have mentioned before on the blog that I don’t drink alcohol. I also don’t like drinking plain water very much- I like something with a bit of flavour. This can be difficult when we’re on holiday as often choice extends to the same fizzy, sugary drinks, which I didn’t like to drink too much of. 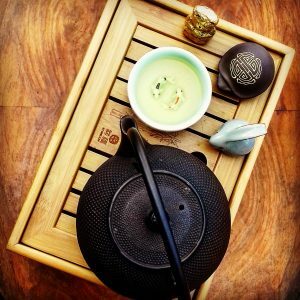 When we were in China for two weeks a few years ago, I started enjoying drinking green and jasmine teas with our meals. I now really like serving tea with Chinese and Japanese meals at home and will often order them at restaurants. This has led me to look a lot more into the huge choice of flavours and types of tea as well as finding favourite tea shops along the way. 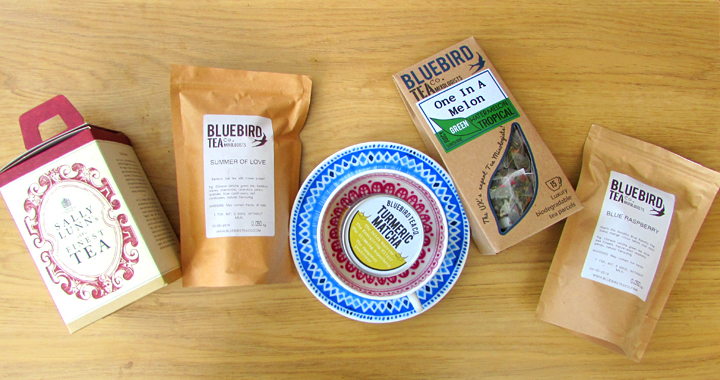 Bluebird Tea is my currently favourite, helped by both their Tunbridge Wells and Brighton stores being a short journey away from me and a myriad of teas to try while you’re there! 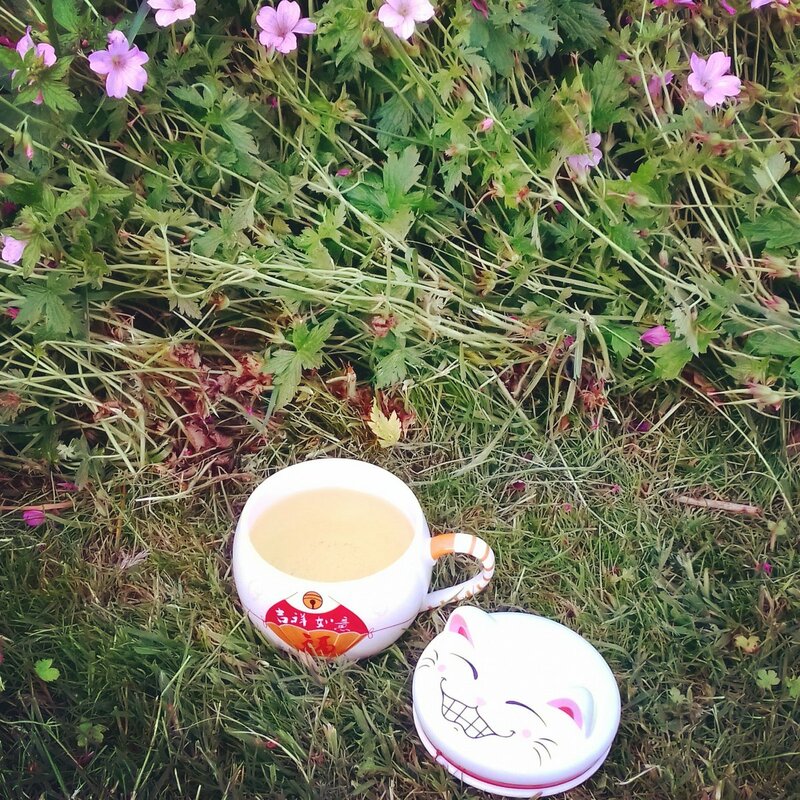 I also have developed a weakness for pretty teawares- both tea ceremony items (find my tea ceremony post here), as well as pretty cups and mugs. Oliver Bonas and T2 are my favourites at the moment. I buy quite a few teawares from China and often they add samples of teas in with my items. This was how I discovered milky oolong. I then found T2 made a version of it and fell in love with it. The name seems odd but it really does have a creamy flavour to it, making it a smooth, slightly sweet drink. As the name suggests, the tea has an oolong base to it, with flavours to create the creamy flavour. This is now one of my favourites to serve with oriental meals, especially ramen, as it has enough flavour to be pleasant and cleanse the palate, but not so much that it overpowers delicate flavours in food. 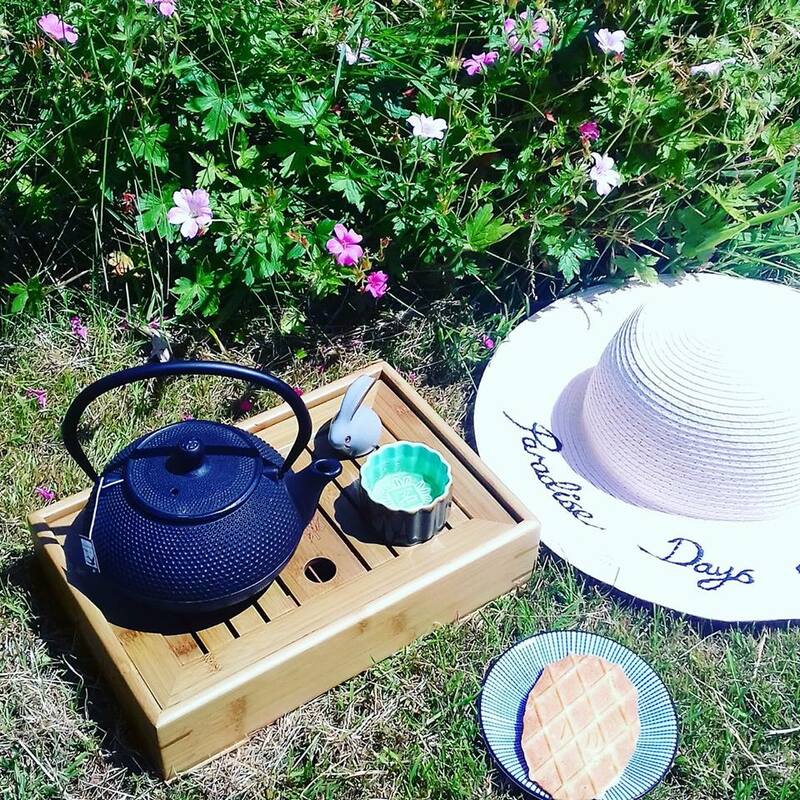 The name of this tea evokes memories of braids in your hair, running through meadows on a hot summer’s day and the tea has the perfect flavour to compliment its name. With a Sencha green tea base, this pretty tea contains cornflowers, bamboo leaves and chamomile, for a slightly grassy, fresh flavour. To me this is the perfect Summer tea and works well with an Asian salad or a bowl of pho on a hot, sunny day, which we have surprisingly had quite a few of in England this Summer! This tea is a Summer limited edition so stock up while you can! Bluebird’s blue raspberry tea started off as a limited edition, which I wasn’t able to get my hands on, but by popular demand, it was brought out in their permanent collection and I am so glad it is. Firstly, can we take a minute to admire its stunning vivid violet blue colour? I think even if it tasted terrible, I would love it for its colour alone. Fortunately, it also tastes amazing- a Sencha tea base with a fruity, slightly tangy and floral flavour. Raspberry pieces and blue pea flowers give it the stunning blue colour, so nothing artificial added. 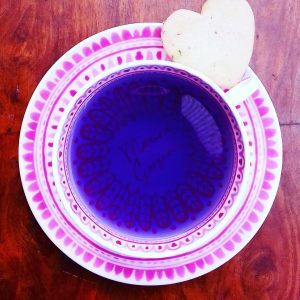 You can also add lemon juice it which turns it a beautiful pinky-purple. Find my blue raspberry tea loaf recipe using this tea here. I couldn’t compile a list of my favourite teas without including my favourite black tea. 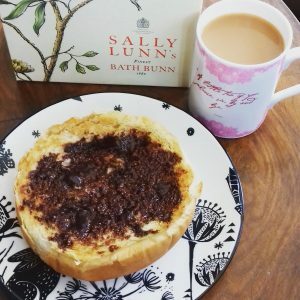 Being British, I am a big drinker of the great British cuppa and having tried many, many black tea, I can say that this blend from the Bath Bun teahouse is by far my favourite. It makes the perfect cup of English Breakfast tea, well rounded and tasty, perfect with a dash of milk. 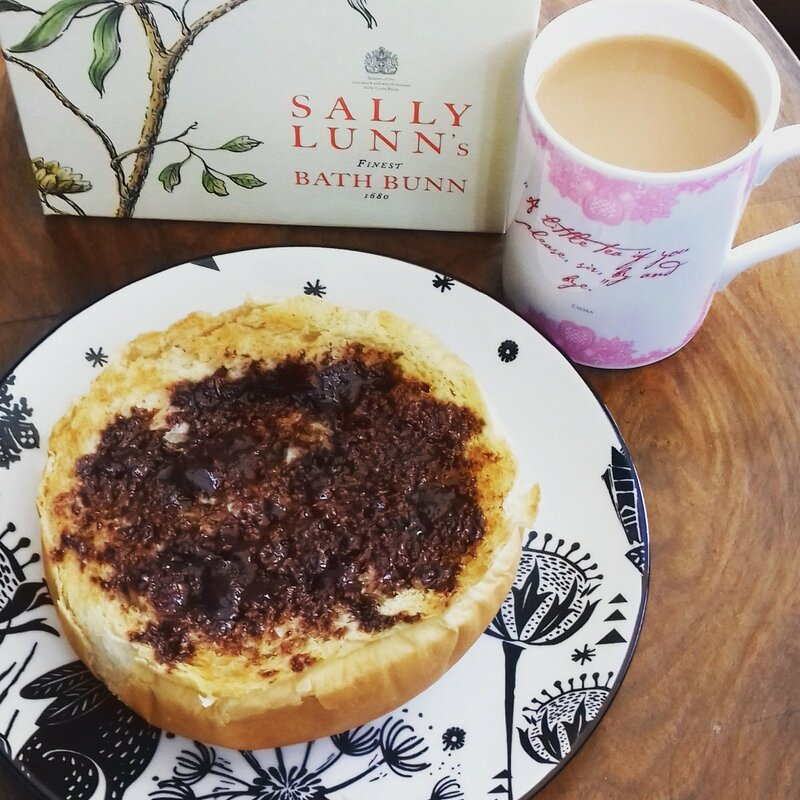 This is only available from their tearoom, but if you are ever in the vicinity of Bath, it is well worth a visit to Bath’s oldest building for a cup of tea and a Bath bun. You can take boxes of tea and buns home with you too. I am not a major fan of melon with its watery, slightly sour flavour, however this fruity tea is a stunning Summery blend. Another Sencha blend (it seems I prefer Sencha to all others! ), with pomegranate and strawberry and a hint of pepper, this taste more like melon flavoured sweets and is very pleasant sipped in the garden. I also have cold brewed it in lemonade, which works very well too! This tea is also a Summer limited edition from Bluebird. I love traditional matcha but wasn’t at all sure by the idea of a matcha made with rooibos and turmeric instead. As it doesn’t contain any actual matcha or green tea, it is caffeine free and as I try to limit the amount of caffeine I drink in a day, this did appeal to me. This makes the perfect matcha latte, with a warming spicy edge and a vivid gold yellow colour. Turmeric has been used for centuries in traditional Chinese and Indian medicines to heal and is linked with lots of health benefits, so that this drink tastes great is an added bonus! 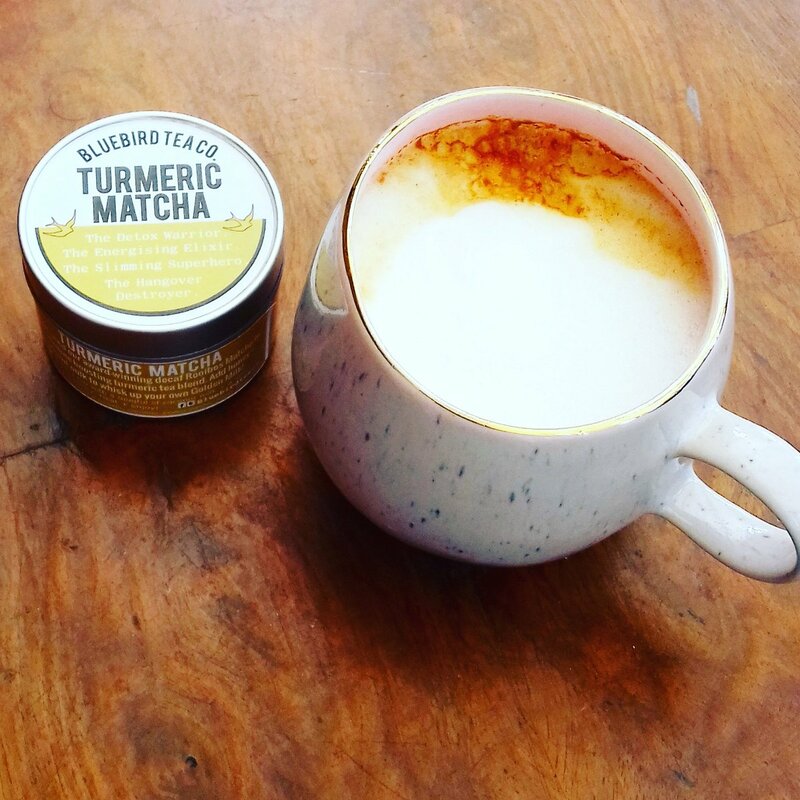 I like to whisk the turmeric matcha with hot water, froth up some oat or almond milk and add a little honey for the perfect frothy golden matcha latte. Find my other matcha recipes here. Posted in Guides and tagged Green Tea, Guide, Tea.